Hal Thorsvig passed away on November 13, 2018 of multiple myeloma at the age of 71. Hal was born in Seattle to Harold and Erma (Smith) Thorsvig, attended Roosevelt High School and graduated from Western Washington University with a BA in psychology. He later served on the Alumni Advisory Board of Western Washington’s College of Business and Economics. Hal was well known and admired for his work over many years in the sales industry. His early career took him to California and later to Texas, where he worked for Northern Petrochemical, which became Exxon. In 1985, he returned to Washington as head of sales for Xytec, and covered the Detroit and Midwest market. After almost 20 years in sales, Hal acquired a Sandler Sales franchise, which became the Sales Institute of the Northwest. In 2008, he left the franchise and launched Seica Systems. Hal was a sales trainer and consultant to thousands, serving businesses in the greater Seattle area. He was best known as a valued mentor who took special interest in those just entering the sales industry. To cap off his career, Hal co-authored Real World Selling Strategies: The Art of the Selling Conversation. Family was at the center of his life, and together with his wife, Kathleen, they raised two sons, Patrick and Nick, on Mercer Island. Hal enjoyed a lifelong enthusiasm for the beauty and wonders of Washington. 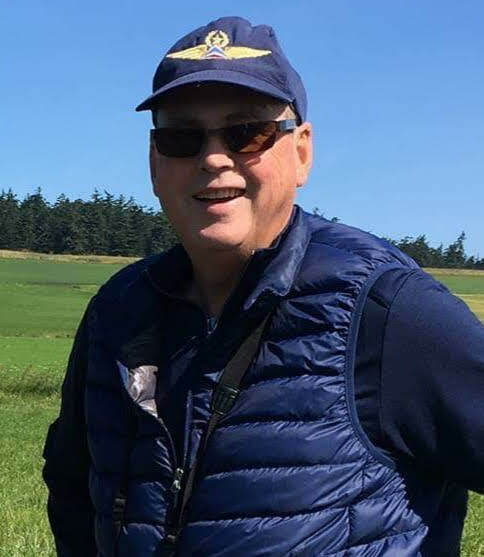 At 19 years of age, he obtained his pilot’s license, which gave him an eagle’s eye view of the land that meant so much to him. From a lifetime of brilliant summers and winter storms on Whidbey Island, to fishing trips in the Okanagan, to ski outings to many of the Northwest’s mountains, Washington was in Hal’s blood. He generously shared his love for it all with family and friends, always with a twinkle in his eye. Perhaps one of Hal’s greatest legacies was organizing the annual fishing trips to eastern Washington. He was the inveterate leader of the annual Dads & Sons Lake Wannacut fishing trips at Sun Cove Resort, considered a paradise weekend by those who attended. It was a chance to learn and enjoy fishing (including fish cleaning! ), hiking, boating and pizza in Tonasket, with some parental guidance but no interference. For two consecutive years, Hal and Patrick rode the 200-mile Seattle to Portland bicycle ride (STP) after many weekend training rides, complete with the requisite breakfast stops for pancakes, with a tight-knit group of fathers and sons. With winter’s arrival, friends and family traveled together for ski vacations at Mt. Bachelor, Sun Peaks, the Utah slopes, and Mission Ridge. Hal was a fine skier. Graceful on the slopes and the go-to driver in icy conditions, Hal was always a patient instructor and cheerful companion to a lively group of his sons and their friends. In the end, Hal’s soul always returned to Whidbey Island. The island cabin, originally owned by his grandparents, was the centerpiece of many years of clamming, crabbing and generously hosting weekend picnics and annual July 4th celebrations, complete with elaborate firework displays on the beach. He kept kayaks, Livingstons, and a Force 5 sailboat ready for launch, the only rule was life jackets. Hal and Kathleen eventually built a home on the family site overlooking Saratoga Passage, and retired there in 2013. 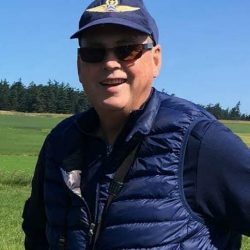 After a diagnosis of Parkinson’s, Hal refocused his activities on golf and Ropa Dopa Parkinson’s boxing classes on Whidbey Island. And he never ceased to marvel at the ever-changing view over the lagoon where eagles swooped just outside his window. Hal is survived by his wife, Kathleen Coffey Thorsvig; sons Patrick (Diane) and Nick (Mandy); grandchildren Sam, Emily and Isla; sister Marilyn; sister-in-law Virginia; and many nieces and nephews. Celebration of Life at the Mercer Island Community Center December 10th 11:00AM. Remembrances to Northwest Parkinson’s Foundation.